Checks is an informative resource that describes one of the most common mechanisms for conducting financial transactions. The history, variety, and popularity of checks as collectible treasures is reviewed by the author. The outlook for checks and other forms of financial instruments in the future of finance is explored in this comprehensive resource. This book appeals to anyone interested in finance, art, and technology as it relates to the development of checks. 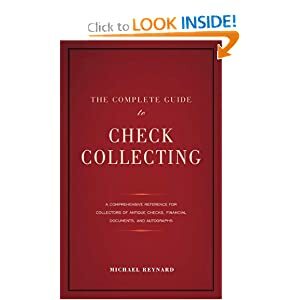 The Complete Guide to Check Collecting is a comprehensive resource for collectors of bank checks, autographs, revenue stamps, and paper ephemera. Check collecting has increased in popularity over the last decade. As financial transactions become more digital, collectibe checks are destined to increase in value. This book explains the history of how checks came to be used and accepted as financial instruments, and reviews the types of checks and what makes them collectible and valuable. The Complete Guide to Check Collecting provides tips for buying, storing and displaying checks. It is a great resource for novice and experienced collectors alike. This enticing blend of biography, entertainment, and financial legacy chronicles the lives and fortunes of some of the most famous people on history. Checks from these celebrated individuals uncover triumphs, scandals, and miraculous strokes of luck in the lives of these people. 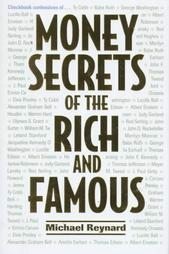 Money Secrets of the Rich and Famous has been translated into many languages including Chinese and French. This tell-all tale is a dazzling read for anyone captivated by fame and fortune. Order Money Secrets of the Rich and Famous directly from Amazon. A wide selection of books about autographs and autograph collecting. Discover the history of autograph collecting, what's hot and what's not. Serious autograph collectors become informed about authenticity, various fields of autograph collecting, and reliable means for obtaining authentic autographs. What is the value of your collection? How do you know what prices are reasonable? Prices of autographs vary depending on condition and form of autograph. Forms of autographs include photographs, typed letters, handwritten letters, and documents.